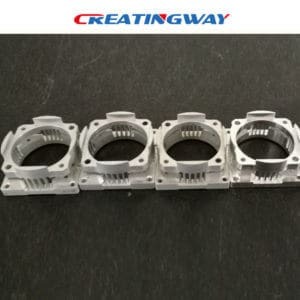 As one Chinese CNC Machining Company, Creatingway is a leading CNC Machining Service provider in China. We offering a series of plastic and metal machining services for all high quality & tolerance the prototype, tooling and production needs. With our state-of-the-art machining facility and professional designing and development team, we can provide a full service, from product design, the material choice, machining processing, the prototype and low volume production till last production application to make your products more easy and perfect. Secondary process and finishing service including polishing, EDM, Welding and assembly. We own have advanced facility be used in our daily machining including high Speed CNC, Precise EDM machines, auto lathe, metal fabrication machines. We also have precision inspection equipment such as coordinate measuring machines, CMM, 2D, profiles projector and hardness testing machines to ensure product quality. 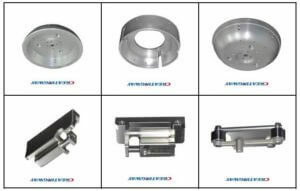 With these advanced facility, we can provide an array of metal& plastic parts. No matter it is simple or complex; rapid prototype or volume productions; custom parts or existing productions. We provide high standard products to our clients. Creatingway has own a professional designe and development team to service for you. From the product designe, continuously modify to the final drawing freezed. We have professional staff to provide full service for you by one-to-one. Our Programmers not only skilled employ some program feature but also enable the machine operator to perform functions, otherwise it will be difficult or impossible to finishing things. Meanwhile, our project engineers can get you timely and fast response any questions of the project at any time. They are able to further discuss and communicate with you for the project, thus get you the best proposals and support to optimized the whole products.